An Obelisk explodes under a hail of gunfire, while the anthem from Top Gun blasts over Mumble. All the while, over one hundred members of the Goonswarm Federation [CONDI] along with their friends and allies erupt with exuberant cries. In Kaaputenen the Anti-Gank squad that had been swarming around the doomed freighter begins to assist CONCORD in scouring the offending Goons and their Catalysts from space. A calm, reassuring voice interrupts the celebration, and instructs us to give in to the white knights and take the pod express back, and out of the TiDi. As I stare at my corpse, liberated from its pod and floating in space, and watch as laser fire from uncountable masses of CONCORD battleships destroys my fleetmates, I think back to Roy Batty’s monologue from Blade Runner for some reason, probably the attack ships on fire part, and then my screen blacks out and I load in station. I’ve lost my tenth or so Catalyst of the night and am completely famished. Originally, I had gotten on to return a few of the paper-thin gank ships that had been provided to me by the fleet commander, but I quickly got drawn in by the atmosphere and excitement on Mumble. It would be hours more before I bothered to eat. 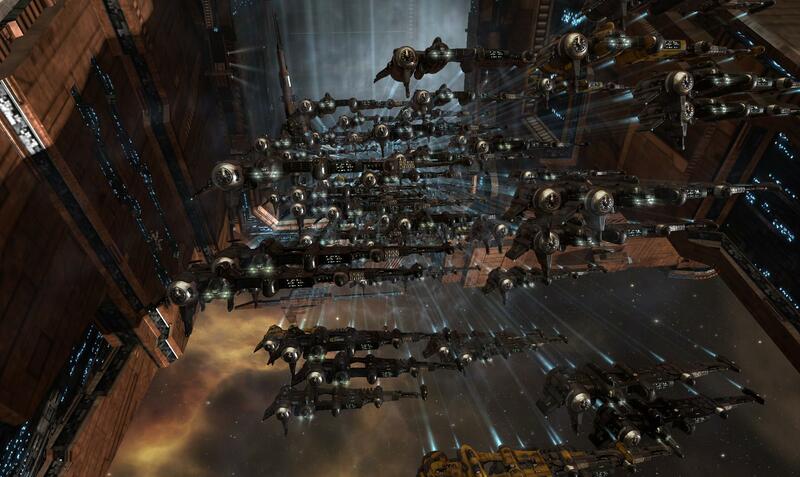 When I started Eve, I knew who Goonswarm were, as I think it’s safe to say, almost everyone who follows Eve at all does. I knew they had a reputation for being rude and ruining peoples fun, I knew that they were a wealthy and powerful nullsec entity, and I knew that they were closed off to the outside world. A tight-knit community spawning from a forum somewhere on the internet. Basically, my plan was to completely avoid them. Well, it turns out, starting a corp while learning to play Eve is awful, and Karmafleet is a pretty sweet deal for a new player. I joined Karmafleet after about a month of playing Eve, and was welcomed into the GSF with relatively open arms, after an extensive background and credit check, obviously. Joining Goonswarm meant that I could now browse their archives and look back into the historical accounts of things like the Burn Jitas and Hulkageddons of the past. I had never been much of a player killer in the past, or really much of a PvP:er in the other games that I have played. However, I knew that Eve would have to be different from the outset, simply due to the fact that sov warfare and the huge player created events were my biggest interest in the game. Never did I consider highsec ganking being something that I would do, much less enjoy. Burn Amarr changed that. It was one of the most enjoyable things I’ve done in Eve, and I think I might even be inclined to continue high sec ganking on my own time going forward. Personal feelings aside, I couldn’t decide what exactly the alliance benefited from staging this event. Due to the omnipresence of anti-gankers and onlookers, more often than not wrecks would be targeted and destroyed by our own pilots, so even when one of the targeted freighters would drop billions of ISK worth of loot, it was quickly vaporized. The Burn Amarr operation and the sister fleet run by CODE. 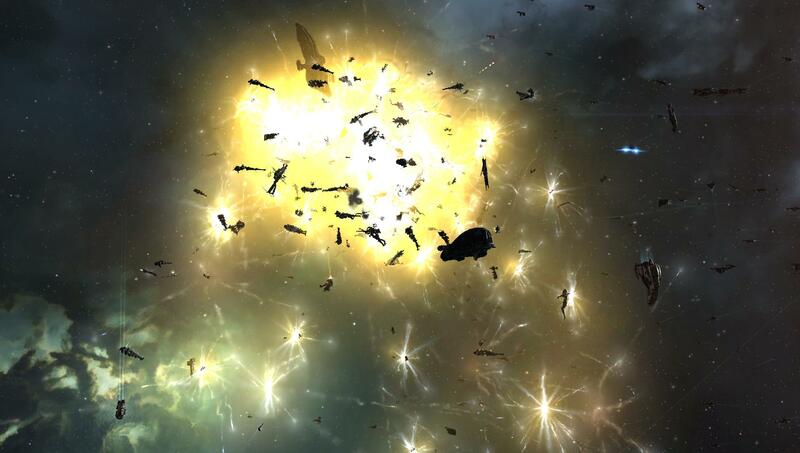 destroyed somewhere north of 850 billion ISK – official numbers have not been posted yet. On top of that, the Imperium’s collected corporations pushed out well over 15,000 Catalyst destroyers for the pilots involved. So, what was the point of it all? It’s not about the ISK. It’s about generating content.